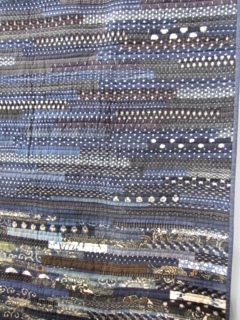 I was very excited about visiting this fair but overall I was a little disappointed as the emphasis seemed to be on shopping for sewing supplies and exhibits of more traditional quilts rather than anything contemporary. 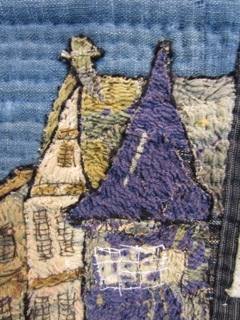 It was Craft-orientated rather than Art-orientated. 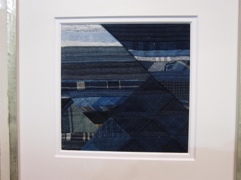 Having said that, I was drawn to several framed pieces, which really caught my eye and I also was interested in a number of hand-sewn quilts made of antique kimono fabric. 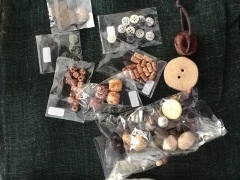 I came away with a stash of natural fabrics, buttons and yarns which I can’t wait to use! 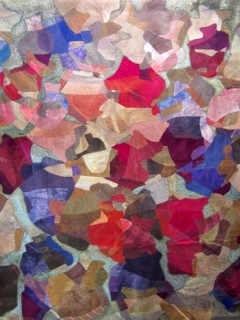 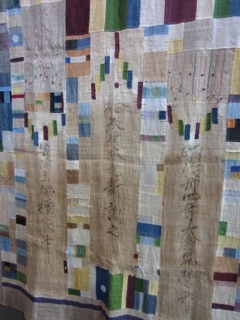 Below are a selection of quilts that appealed to me, with close up shots. 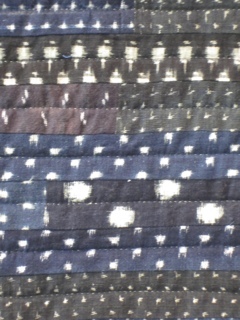 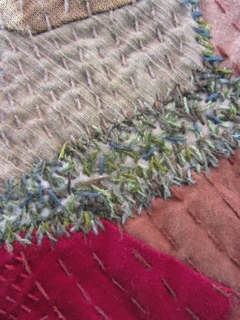 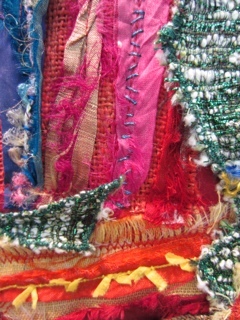 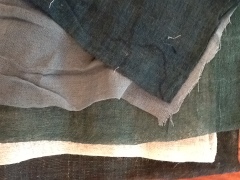 In my next post I will show the three textile pieces I have chosen to study in more detail, with my reflections on them. 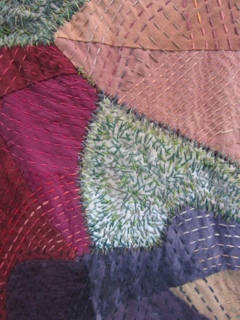 I loved the colours in this quilt and the range of stitches used. 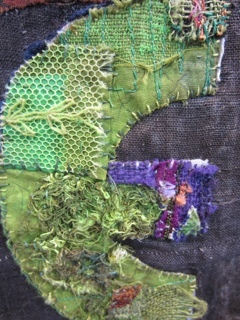 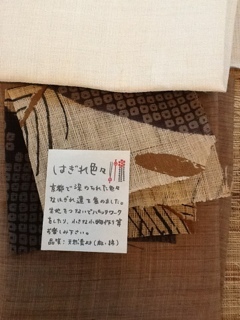 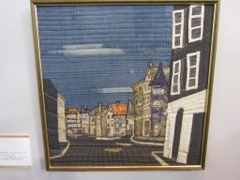 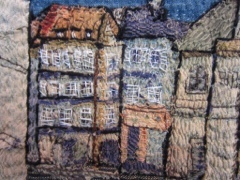 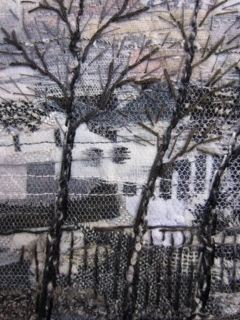 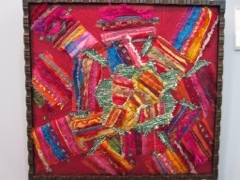 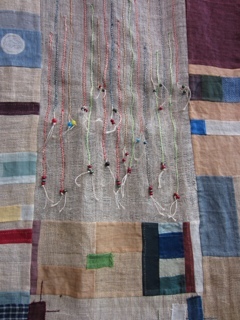 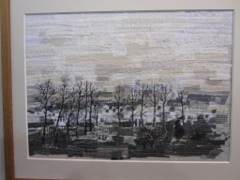 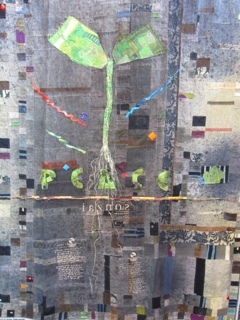 This framed piece did nothing for me from a distance but I loved the stitching and fabrics used when viewed close-up. 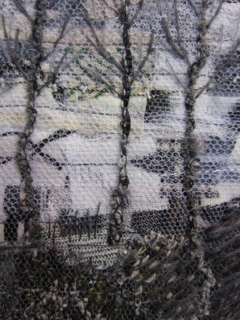 Some of my ‘booty’! 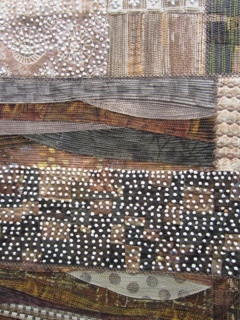 I bought a lovely collection of buttons, hemp and bags of mixed fabrics – now I can’t wait to try them out in various projects! 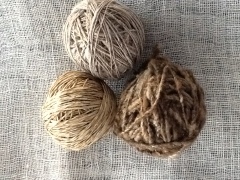 I can’t wait to use these balls of hemp when I come to the sewing exercises!